In this article I’ll also publish the interview we (Body of Science) had with the owners of IP plus I will also publish some questions I asked to them that where not printed in BoS magazine. For years, the underground firm International Pharmaceuticals supplied athletes around the world with the latest performance-enhancing drugs, helping it attain cult status in the doping scene and make millions. Now investigators have raided the firm’s headquarters in a German village. Its customers apparently included a number of top athletes whose identities could now be revealed. The day senior customs inspector Peter S. would make the discovery of his life began with a “trip to the enemy.” That’s how officials at the Kaiserslautern Customs Investigation Unit describe the drive to a raid. The men had been chasing a phantom for years, but this time they were sure that they were on the right track. At about 1:00 p.m. the investigators, accompanied by officers with the Central Customs Support Group, reached Nidda-Wallernhausen, a village with a population of 1,100 in the German state of Hesse, about 30 kilometers (19 miles) southeast of the city of Giessen. Their navigation system directed the unit to a street called Fussgasse. The men got out of their vehicles in front of a white warehouse with a long roof. They were dressed in plain clothes to avoid attracting attention. The abbreviation IP also appeared on many of the cartons. The letters stand for International Pharmaceuticals — the phantom firm the investigators were chasing. Nidda-Wallernhausen, which until now has been best known for its puppet theater at the Uhrnstubb Inn and for fresh organic eggs, will now go down in the history of customs investigations. During the raid on Sept. 29, 2010, the agents seized illegal drugs worth about €10 million ($13.6 million). Some 19 pallets were needed to transport the 5 million pills, capsules and ampules away from the site. It is one of the biggest drug busts in Europe to date, and an important blow against the international trade in performance-enhancing drugs. The case could soon attract the attention of officials in the world of professional sports, because IP’s customers apparently included a number of top athletes. IP was an icon — and a black box. No one knew where the warehouse and the laboratory were located. And no one knew who was behind International Pharmaceuticals. Now the secret is out. The underground empire had its headquarters in provincial Germany. One of the owners, a German named Lothar H., is a former salesman for a line of natural cosmetics. His Austrian business partner Paul R. is a former police officer who was dishonorably discharged from the police force. Nine years ago, the United States was rocked by a doping scandal surrounding BALCO, a California laboratory. In 2006, authorities in Europe uncovered the network headed by Spanish blood doping expert Eufemiano Fuentes , whose clients included the former Tour de France winner Jan Ullrich. Now the next scandal is about to hit the sports world, this time in Germany. IP was a global brand. The drugs were produced with cheap labor in India, packaged and shipped via airfreight to Denmark and England. From there, the products were sent via parcel service to the warehouse in Nidda-Wallernhausen. The investigators believe that the drugs were sold in fast-food restaurants, hotels in Frankfurt and the surrounding area, and on the Internet. The buyers were from Germany, other parts of Europe and the United States. The product line ranged from Winstrol, an inexpensive anabolic steroid sold for €2.75 an ampule, to Special Product, a designer performance-enhancing drug priced at €950 for a 10-milliliter vial. With a profit margin of about 400 percent, the dealers were raking in millions. By comparison, profit margins in the drug trade are rarely higher than 80 percent. Lothar H. founded IP in the 1980s, with Paul R. joining the business later on. IP expanded, and R. allegedly became involved in the production of the doping agents. At the same time, he was developing a remarkable marketing tool. Seven years ago, a tome called “Anabolic Steroids — The Black Book” appeared on the market, causing a sensation among users of performance-enhancing drug and the authorities alike. It was essentially a reference manual for dopers, and some 60,000 copies were sold. The current version of the 1,057-page manual, illustrated with color photos, offers detailed descriptions of which drugs provide the best results, how to outsmart drug tests and, of course, where to buy the drugs. An entire subchapter is devoted to International Pharmaceuticals. The author of the book went by the pseudonym D. Sinner. There was a great deal of speculation over who could be behind the name. Now that mystery has also been solved. Paul R., one of the IP partners, allegedly confessed to Austrian investigators that he authored the work, with the help of experts — doctors and chemists. It was a brilliant business model. In addition to producing and selling the performance-enhancing drugs, International Pharmaceuticals was providing the instructions for their use. The IP case raises a number of questions. How could an underground company have run the business from Germany for decades? Lothar H. had registered an import/export company. Why did no one notice what was really going on in Nidda-Wallernhausen? The two partners were apparently unconcerned about being caught. “Law enforcement in Europe is generally not interested in anabolic steroids,” they told the reporter. Indeed, it was pure coincidence that IP was busted. The authorities had had their doubts about Lothar H. since 2006, when a search produced suspicious correspondence and strange receipts. But there was no warehouse, and no performance-enhancing drugs were found. Lothar H. got off with an order to pay €55,000 ($75,200) in back taxes. But the investigators kept up their efforts. 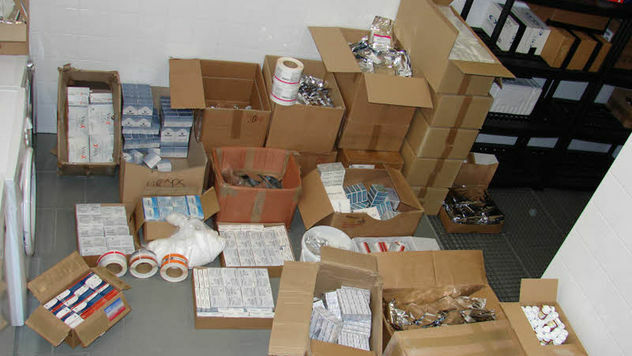 In December 2007, officials discovered a package of ampules containing performance-enhancing drugs from Pakistan at an automated self-service parcel-collection station in northern Germany. One of Lothar H.’s fingerprints was found on the adhesive strip. When his name surfaced in 2009 in connection with a lawsuit in Cologne, an undercover investigation was launched. H.’s email correspondence was monitored, and government agents installed surveillance cameras in a Frankfurt hotel. The videos show H. accepting envelopes and handing over merchandise in return. During telephone surveillance, the investigators finally discovered the address of the warehouse on Fussgasse in Nidda-Wallernhausen, where Lothar H. also happens to live. The officers arrested him at his home, where they also seized four Mercedes cars and assets worth half a million euros. A family member tried to warn Paul R., the partner in Austria, by calling him and saying: “It’s happened.” R. promptly bought a plane ticket to Dubai, but the Austrian authorities arrested him while he was on his way to the airport. The case is closed for the German customs authority. The successful investigators were honored during a New Year’s reception in January, where pumpernickel bread with salmon and champagne were served. Now the hunt begins for the customers who ordered from IP. In the 2006 interview, the IP dealers talked about a designer steroid that was popular among “European competitive athletes” for a time. “It helped many drug-tested competitors use steroids even on the day of testing, with no failures ever,” they told the interviewer. 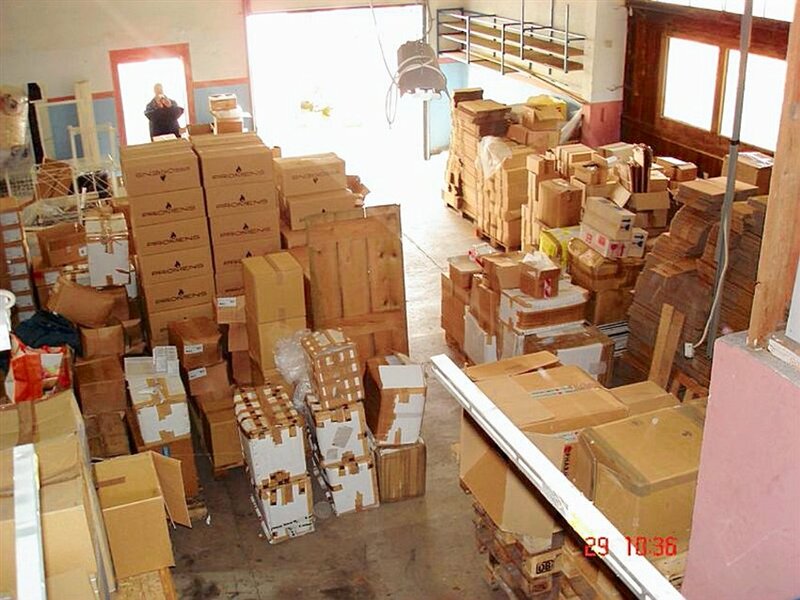 In addition to the performance-enhancing drugs, the investigators found three mobile phones, a briefcase with written records and price lists with the first names of large numbers of buyers at the IP warehouse in Nidda-Wallernhausen. They also seized 500,000 labels and a laptop computer. The defendants have already been questioned. Lothar H. is in pretrial detention in Giessen, while Paul R. is being held in Wiener Neustadt, south of Vienna. The prosecutors expect to file an indictment within the next four weeks. The two men are said to be willing to cooperate. The respective attorneys of both defendants, Lothar H. and Paul R., were unwilling to comment on the charges when approached by SPIEGEL. One thing is certain: There must be plenty of athletes who are suddenly feeling very nervous. The investigations are already in full swing in Austria. As part of a large-scale raid known as Operation “Sledge Hammer,” several underground laboratories were uncovered and suspects who allegedly worked with IP were arrested. One trail already leads to high-performance sports. A business relationship apparently existed between someone at IP and an Austrian sports manager. In an interrogation, the investigators discovered that the manager had a list of the names of many international professional athletes who had ordered performance-enhancing drugs from him. The list was not found during an initial search. The agents suspect that the document was shredded. They are confident, however, that they will eventually be able to reconstruct the list. Last issue we brought you an interview with one of the country’s most prolific (former) steroid counterfeiters. The article stirred up perhaps the most feedback we’ve had to date, telling us quite clearly that our readers are interested in the goings on in the nitty-gritty steroid underworld. In an effort to make edgy pieces like this a tradition, we’ve got an interview this month that is sure to get your attention. It is with the owners of the longest running underground steroid-manufacturing ring in the world. 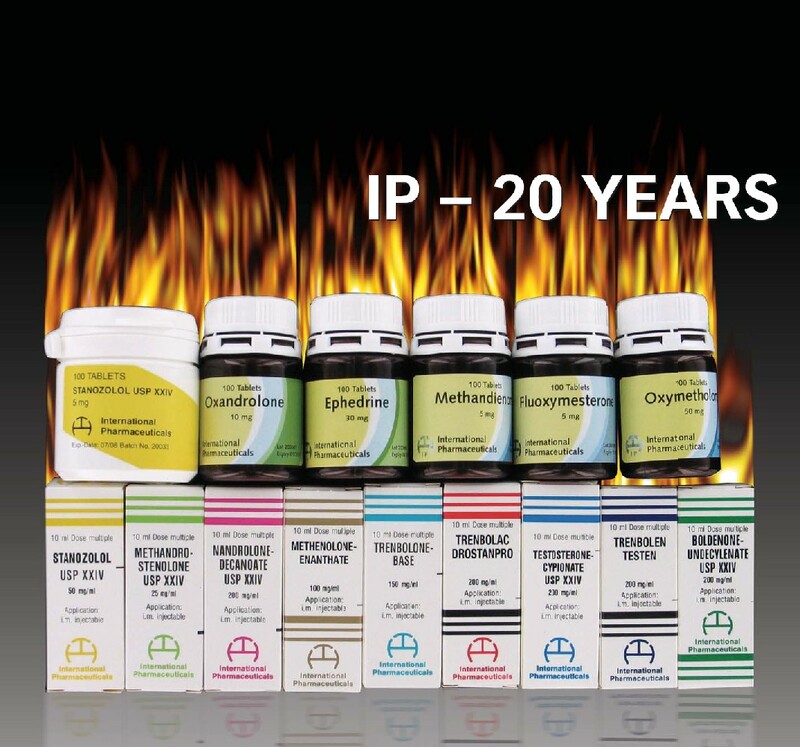 Most often identified by the initials “IP”, International Pharmaceuticals has been around for over 20 years, and is as old school as it gets. This company operates from an undisclosed country in Europe, and first started producing steroids for the athletic community way back in the 1980’s, a time when underground labs were few and far between. Today, they continue to succeed in an ever-competitive underground industry, standing out with a reputation for quality that they have earned over their many years of operation. To many people, the IP operation is an icon of bodybuilding counterculture – the ultimate snubbing of governmental rules and regulations that would limit steroid supply and make criminals out of users. For many steroid opponents, however, they represent the ultimate affront to law enforcement – a criminal enterprise that has been profiting from the manufacture of illegal drugs without interruption for over two decades. Whatever you may personally feel about their business, I’m sure you will be interested in what they have to say. In what represents an extremely rare (perhaps unprecedented) opportunity, William Llewellyn was able to sit down with the principles of this underground operation in early April 2006, at a secret location in central Florida. He would get the scoop on what they are up to these days, and how it is they have managed to stay in business for so long. This interview is what followed. Q: Let’s go back to the beginning. What inspired International Pharmaceuticals? Why did you guys first open? 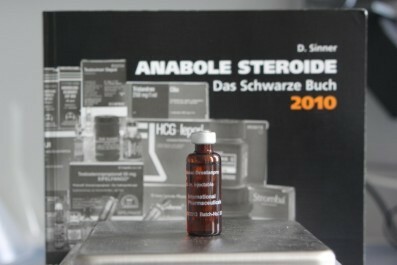 A: The Company began because we saw there was a big demand for quality steroids in Europe, especially at good prices. Back then things were very different than they are now. There were much fewer products on the European black market. We mainly saw steroids from big pharmaceutical companies in Europe. These drugs were expensive, and always came in small 1ml or 2ml ampules or pill blisters with 20 or 30 tabs. We wanted to bring higher volumes to the black market. We brought out 10ml vials and 100 tablets pill bottles, and made our products much more cost effective than what was being sold at the time. There was little regulation, and even less competition before we started. It seemed like an easy decision. Q: We’ve heard rumors that IP is under new ownership. Are you just new guys taking over an old company? A: The rumors are not true, just rumors. We represent the original ownership of IP. I don’t want to go into too many specific partnership details, but can tell you that one of the two men sitting with you has started the company. One of us is a partner, which later came in to further expand the company. We have both been here a very long time now, and this company has had an original owner for over 20 years. Q: What about “IP Czechoslovakia”? I remember there were a lot of IP products floating around some years back that was supposedly originating in the Czech Republic. Was that legit, or counterfeit? A: That was a legitimate operation. In 1995 we partnered with a Czec distributor, who legally sold our products in that country. Everything was official, so at that time we were technically no longer an “underground” company. But this partnership ended three years later, in 1998. Since then we’ve seen many counterfeits of the old Czec products. Needless to say, any IP labeled as Czech today is fake. Q: You run the oldest underground manufacturing company in the world. How does an underground company stay in business for 20 years? A: By focusing on quality. We have always cared greatly for our clients, and the products they use. We do not purposely under dose any product, and have a policy of adding 10% extra steroid to our injectables and 5% extra to our orals. If you test them at a lab, most often they will come back overdosed. We also work with a good product designer, and try to take as much good advice from the younger bodybuilders as we can. We constantly ask ourselves, “What are the young guys using?”, “What do they want to see us produce next?” We think about the customer first, and I believe it has done a lot for us. Q: I’ve seen many excellent tests on your line. I have paid to run one or two of these tests myself. Do you believe your products, every lot, have always been excellent? I guess what I am asking is, have there ever been any mistakes? A: First, know that we have our product manufactured in a pharmaceutical house, and both IP and this contractor take quality control seriously. But I won’t lie and tell you we have never made any mistakes. We have made mistakes, but we care, and are quick to correct them when we do. We are always testing our products to make sure they are up to spec. Plus, not all mistakes are bad mistakes. Q: Not all mistakes are bad mistakes? Can you elaborate? A: Yes, this is a funny story. One time we received shipment of a 5,000 bottle Deca run. Our inventory was short, and trusting the consistency of our producing lab, we released the product to consumers before our own tests came back. When our testing was done, it showed that there was no steroid in the vial. This was a complete shock. But soon, people using the product started reporting excellent results. They were noticing great strength gains, but with little mass increases. The product was not acting like Deca, but was definitely acting like some type of steroid. We sent these vials to labs all over the world, even to Beirut, Lebanon. No steroid, no steroid, no steroid, they kept coming back. After a while, we found out that the raw material supplied was an accidental variant of nandrolone, made by a manufacturing fault, and structurally unique. This particular run of product soon because highly valued among European competitive athletes as an undetectable designer steroid. It helped many drug-tested competitors use steroids even on the day of testing, with no failures ever. Once the 5,000 bottles were gone, however, we could not reproduce the product again. People were very upset when it disappeared. Q: How much has the market changed in 20 years? What has happened with the prices? A: Twenty years ago, prices for steroids were much higher in Europe. The high prices that you pay for steroids in the U.S. today are what we used to pay in Europe 20 years ago. Over the years we have seen a steady decline in the price of steroids. The opening of the Eastern Bloc countries has had a huge impact, bringing very cheap steroids into the market. The supply has steadily risen, making things much more competitive. Also, the adoption of the Euro has had a slightly negative impact in certain countries and their income. In some places people have less money than they used too for discretionary spending. We have to remain cost competitive in this market. Q: Do you mind if I ask what kind of prices your products sell for? Wholesale? Retail? A: The end consumer will probably pay about $70USD for a 10ml vial of one of our injectables in Europe. Maybe you will find some rare guys who paid $100 or more, perhaps from a dealer taking advantage of them, but generally $70USD or so is the fair going price. We sell through distributors, and in bulk we get about $38 to $40USD for one of these vials. Q: Has the Internet impacted your market much? A: It has definitely changed the way products are distributed. Before the Internet, each buyer maybe had 2 or 3 contacts to get steroids from in their gym. Small to mid-level gym dealers were running most of the market. With the Internet everything changes. The buyers now sit on the computer and just shop for steroids. They have access to hundreds of suppliers at the touch of a button. Our products are sold more through shops and large online dealers today than the old small wholesale buyers that used to distribute them. Our typical customer has changed. That has been the biggest impact. Q: What about Law Enforcement? Have you ever had any problems? Do you worry about it much? A: We know there are risks with what we do, but it is not as bad as dealing in Narcotics. Law Enforcement in Europe is generally not interested in anabolic steroids. We’ve been opened for 20 years, and have had a few small experiences with law enforcement in our time, as you could expect being in business so long. But it was never anything very serious. We’re still here, and don’t plan on leaving the business soon. Q: Here in the U.S., laws make anabolic steroids essentially the same as narcotics in the eyes of the law. Penalties are very serious for their sale. Do you worry about U.S. influence changing European policy? I know the U.S. seems to have some of Italy’s ear these days when it comes to steroids. A: (I am given two answers to this question, as the partners are not in full agreement). Partner A: I think the day may come. Political pressures and misunderstandings about these drugs may one day cause the laws to get much harsher. I worry it may happen. Partner B: I don’t think most European countries will be too quick to do this. Where we live, our government tends to be very resistant to control of the European Union. I don’t think it will be easy to drastically criminalize steroids here. There should be resistance. Italy is Italy. They have the harshest laws in Europe, period. Business laws, speeding laws, everything can be much tougher there. But they still have a strong market for steroids, and I doubt it will disappear soon. I do not think Europe will turn into the crazy USA when it comes to steroids. Q: How is business for you? A: In Europe we are very strong. We have been around for a very long time and people know our products. They know they can trust our quality. But there is always room to grow. We do not have distributors in the U.S. at this time, for example, and that is a market we would like to support also. Q: What are your thoughts on the major proliferation of underground labs these days, especially all the small “basement” operations? A: We don’t worry much about underground competition. We only worry about our company, our products, and our customers. Small underground operations like these will startup high and fall down, startup high and fall down. What we do is what is important to us, not what others do. Q: Have you made any significant changes to your line recently? A: We have introduced several new products lately, including 10mg oxandrolone tablets, a new methenolone enanthate (Primoboan Depot), Halotestin tablets, and a drostanolone injectable. We are constantly looking for ways to better our line. Plus, we have recently changed the oil we use in our injectable products. We’ve found that there are often big problems with inconsistency and purity with the natural oils traditionally used for injectables. We wanted to address “quality of carrier” issues, and we did just that. We have now switched to a more modern synthetic oil blend (it contains 20% sesame oil), which makes our injectables even more comfortable to use than before. There is practically no pain, and the oil passes very smoothly through the needle. It was a big improvement we believe. Q: How about counterfeiting? What do you do to deter duplication from unscrupulous counterfeit manufactures looking to profit off your good name in the market? A: We at IP have always taken counterfeiting seriously. We also have earned much good will, which makes us a target for counterfeiters. For a long time we have had some unique features, which makes duplication a little more tricky than some other lines. For one, our 10ml vials are of a very unique shape. They are tall and thin. 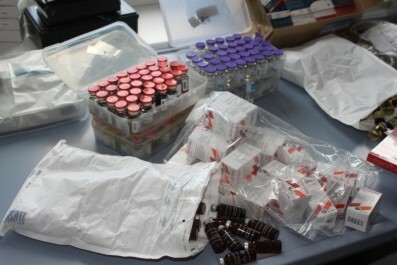 It is very difficult to find vials like these; so many IP fakes will be found with the more common stockier vials. Also, the information printed on these vials is baked into the glass, not silk-screened on. The ink is very hard to remove, a result of a process that requires high temperature heating in ovens. You will usually find this type of burning-in of ink with large pharmaceutical companies, not underground producers. We are in the process of taking this protection one step further as well, and are soon will have implemented hologram stickers. We have always tried to make duplication less than easy for the counterfeiters, and will continue to do so in the future. Q: So what does the future hold for IP? A: We hope many more happy customers, and a long life of operation. Maybe we will be here for 20 more years. We’re always looking to the future with optimism. In fact, we’d love to hear what your American readers would like to see from us in the future. Please pass the word that our ears are open. I was very curious to some details that I hadn’t found in the initial interview. So I asked Lothar information about the introduction of International Pharmaceuticals ( I.P) on the US market. This part of the I.P story wasn’t published in the magazine because some of the men are still alive today. Dan: It was pretty much anecdotal at first. Back in the early 80s, we had the first versions of injectable Dianabol. In the veterinarian market of Mexico, we found these little yellow boxes of injectable Dianabol. We went to the market with International Pharmaceuticals; it was the first big product for that company to make it in America. contact with a large, well-known dealer of anabolic steroids, called Andy L. It must have been 1981/82, when he was introduced to a close friend of Andy called Dwight B ( he already died), which then, as Andy got in trouble (jail) was the man of the direct access to IP. In the beginning, every 10 ml varieties, starting with methandrostenolone (injectable Dianabol), Where delivered in large quantities to the USA . Andy could even be alive today. Many years ago, when he was released from prison, he started to distribute protein powder and other normal fitness supplements, but also on a very large scale. Michael Mooney criticized WAR 96 (Manfred Bachmann) and Michael Colgan , because they called IP a fake UG-lab. Mooney also wrote some very positive articles about I.P. that included some analysis of its products. Don’t get me wrong I admire Michael for his knowledge and work for HIV infected people and his work to try to improve their quality of life with help of certain anabolic steroids. But I’m almost certain he was involved in that ring of friends cq guru’s. In those days IP was the only company with that name, later a Iranian male that lived in China started a company with the same name. That’s when the company was called IP CZ, because on the boxes the company had printed an address in the Czech republic. IP China moved to United Arabic Emirates later and is still active in retail and bulk deliveries. During the time I wrote for BodyPage I proved the fact that IP was not producing in the CZ. I wrote some big articles on both companies and performed many analyses to prove that IP China sold very bad quality products. Something that many many years later was confirmed by the Hartford Courant who, for an article, ran some analyses and identified many toxic substances in IP China’s products. An other famous writer Brock Strasser (true name Bruce K) from Testosterone Nation, had interview with himself as owner of GAC (Generic Agriculture & Chemical) later Red Star of China. In that interview called “Confessions of a steroid bootlegger”. Bruce criticizes the quality of IP gear which is not so strange because he was a competitor. I.P. had some more then interesting branches our next article will be about ‘Sledgehammer” the most known side operation.